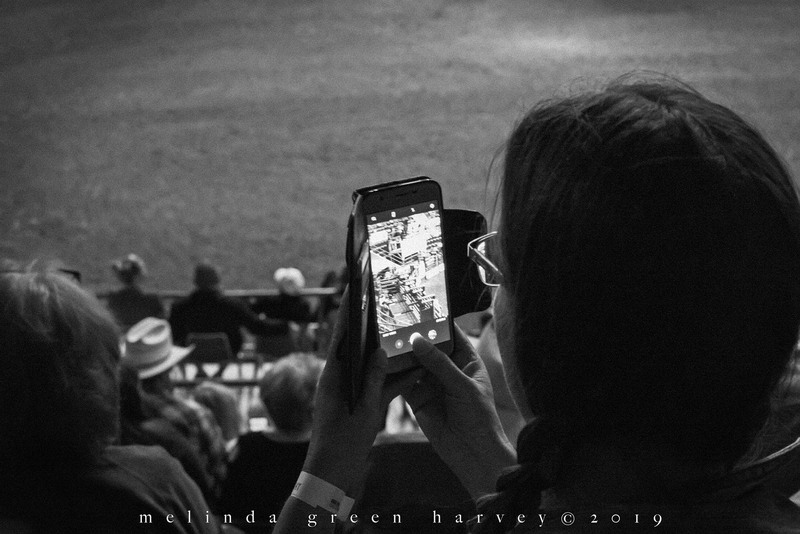 Posted on April 13, 2019, in Photography and tagged 365 photo project, black and white photography, learning to see, Leica, lubbock, lubbock texas, melinda green harvey, monochrome, photo a day, photography, postaday, rodeo, street photography, take time to look, texas, thoughtful seeing. Bookmark the permalink. 7 Comments. At last she moved, though. So true. Nice catch there MGH. Once a neighbor wanted me to shoot some of his wedding (not the main photographer). I talked to the guy who was the main photographer after the ceremony. He was laughing about every time he would shoot from the back it was difficult to get the shot. Seems an elderly lady would hold her iPad high to get a shot therefore blocking his shot! And those iPad photos are always such high quality, too! That woman might want to think about wedding photography as a full time gig. Nice observation, Melinda, well photographed. Great subject for black and white. Thank you, Frank. It’s sort of an experimental shot for me; I’m glad you like it.